In a small bowl whisk together 2tbs oil with the lemon juice, seeded mustard and 2tbs finely chopped chives. Taste and season. 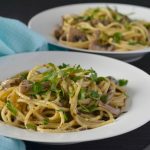 Add the pasta to the pan and toss to combine with the mushrooms. Drizzle over the chive dressing and then toss through the rocket. Serve, and top with goats cheese and extra chives. 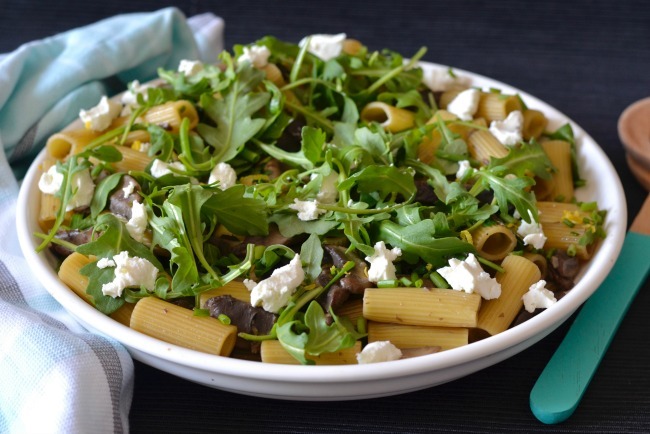 This mushroom goats cheese pasta salad is delicious when served warm, but works excellently as leftovers too. You can reheat it or have it cold, both are delicious options. 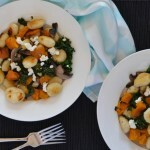 That’s part of what makes it such a good dish for work lunches! 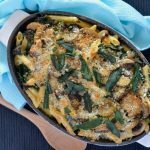 You can use any combination of mushrooms you prefer in this dish too! I used a mix of button and flat mushrooms this time but something like enoki would be excellent too. 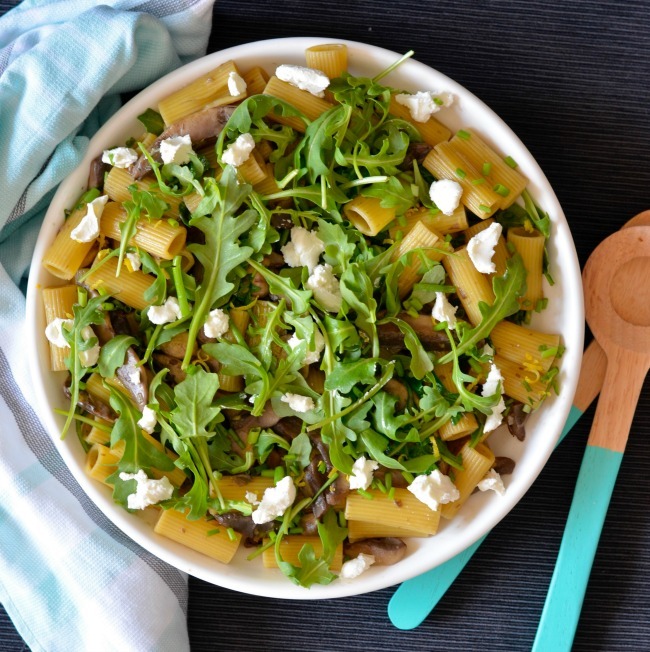 I particularly love the zesty, lemony dressing on this pasta salad. It makes it light, fresh and oh so tasty! Plus, it’s hard to beat goats cheese on pretty much anything if you ask me! 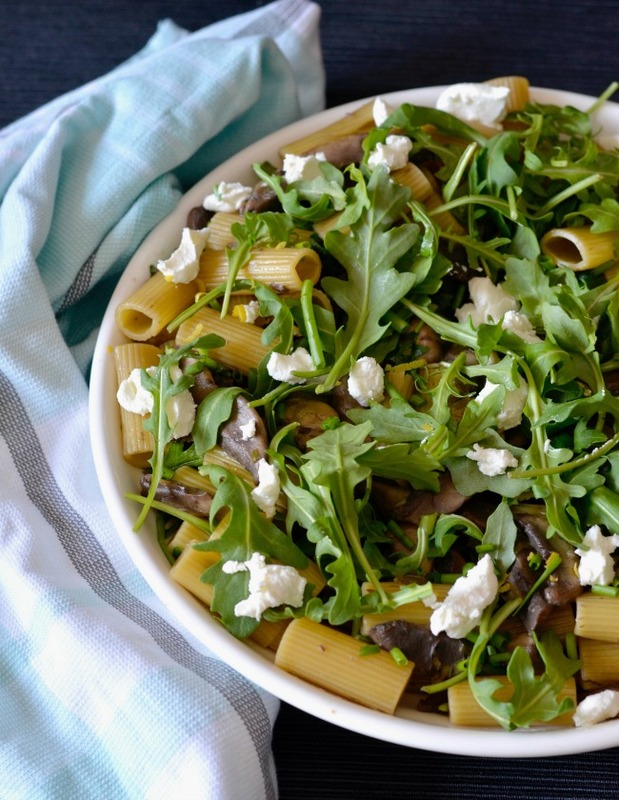 So, who is keen to try this mushroom goats cheese pasta salad?